5FM Live Stream . 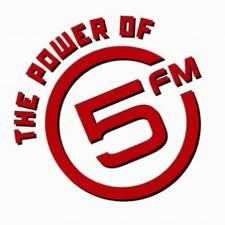 It is a South African FM radio station that follows a Top 40 music format and is owned by the SABC . It is the entertainment powerhouse for South African youth, offering the most popular contemporary music and entertainment . It is known for its music, DJs and events. It is headquartered at the South African Broadcasting Corporation in Auckland Park, Johannesburg.